FOX has decided to cancel the US version of The X Factor. The talent competition has been sagging in the ratings and was never the success that FOX was hoping for. However, it seemed like FOX was still intending to bring it back in some form next fall. 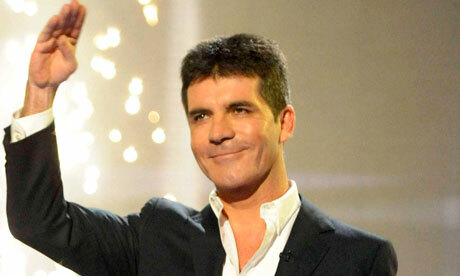 Simon Cowell has now decided to return to the UK version so wouldn’t be available to be a judge in the US. For this reason, FOX says they are cancelling the show, ending a 12 year relationship with Cowell. The award-winning international phenomenon THE X FACTOR has concluded its domestic run after three seasons, it was announced today by Syco, FremantleMedia North America and Fox Broadcasting Company (FOX). In 2013, Alex & Sierra won Season Three of THE X FACTOR, and during the live shows, the duo reached No. 1 on the iTunes singles chart twice with six singles also breaking into the iTunes Top 20. Emblem3 and Fifth Harmony became international stars after Season Two of THE X FACTOR. Emblem3’s first album, “Nothing To Lose,” debuted at No. 7 on the Billboard 200 albums chart. Fifth Harmony’s EP, “Better Together,” debuted at No. 6 on the Billboard chart and reached Top 10 on iTunes in 41 countries, giving them the biggest debut album from any U.S. television competition series in 2012. Fifth Harmony were listed on MTV’s “Artist to Watch” for 2014 and also were the voices of Barbie’s new anthem, “Anything Is Possible.” They are on tour this spring with Demi Lovato, Little Mix and Cher Lloyd. Emblem3’s debut album, “Nothing To Lose,” reached No. 1 on iTunes in 14 countries. THE X FACTOR won three TEEN CHOICE 2012 Awards for Reality Competition Show, Breakout Show and Simon Cowell – Male Personality. In 2013, THE X FACTOR won a People’s Choice Award for Favorite TV Competition Show and Demi Lovato won for Favorite Celebrity Judge. It also took home seven TEEN CHOICE 2013 Awards, including Reality Competition Show, Simon Cowell – Male Personality, and Emblem3 – Breakout Group, to name a few. Local versions of “The X Factor” are commissioned in 45 territories and around the world, “The X Factor” is now watched by more than a half billion people. The show has increased the average demographic for many broadcasters by up to 250%. The single, “Impossible,” from the 2012 U.K. winner James Arthur, became the fastest-selling single of the year, and was the biggest worldwide “X Factor” single ever – selling over 2.5 million copies. Artists discovered by the “X Factor” format have sold more than 150 million records worldwide, including 130 No. 1s and 250 Top 10 records. In 2010, “The X Factor UK” discovered and put together One Direction, who have since sold more than 30 million albums worldwide and have won countless awards across the globe. One Direction have made U.S. chart history as the first group to ever have their first three albums debut at No. 1. Little Mix’s – the first group to ever win “The X Factor” – debut album, “DNA,” made history as the highest-charting debut album for a U.K. girl group – even beating the Spice Girls. Leona Lewis has sold over 30 million records and her hit single, “Bleeding Love,” reached No. 1 in over 30 countries and was the fastest-selling debut album of all time in the U.K. Lewis is the first British female solo artist to score eight U.K. Top 5 singles. FremantleMedia North America (FMNA) is the U.S. arm of global media giant FremantleMedia, which includes a distribution arm, FremantleMedia International, a digital and branded entertainment division and a kids and family entertainment business. As the world’s largest independent studio, FremantleMedia’s comprehensive global network has operations in 25 countries, creating over 9100 hours of programming a year, rolling out more than 60 formats and managing over 400 individual titles. FMNA and its portfolio of companies produce entertaining and innovative scripted and alternative programs for network, cable, syndicated and online platforms. Their slate includes a diverse range of both critically acclaimed and award-winning successes, including AMERICAN IDOL (FOX), “America’s Got Talent” (NBC), “Family Feud” (SYN), “Let’s Make A Deal” (CBS), “The Price Is Right” (CBS), “The Great Christmas Light Fight,” (ABC), “The Tomorrow People” (The CW), “Deadliest Catch” (Discovery), “Married to Medicine” (Bravo), “Ice Road Truckers” (History), “Storage Wars” (A&E), “The Pet Collective” (blip.tv) and the upcoming “Celebrity Name Game” (SYN), among others. What do you think? Are you disappointed that The X Factor won’t be back for a fourth season on FOX? Why wasn’t it a success? The X Factor: Simon Cowell Is Willing to Bring Show Back; Would You Watch? The X Factor: FOX Series Being Revived for Season Four? The X Factor: Is the New FOX Series Worth Watching? Star Search: Paula Abdul Coming Back to Reality TV? American Idol: Simon Cowell Leaving, Can the Show Survive Without Him? I guess I’m the only one who’s disappointed that The X Factor isn’t coming back for a fourth season. If you guys are glad it got cancelled, you can all go to Hell! I am disappointed and upset that it won’t be back for a fourth season. Good I’m glad this got cancelled. Now cancel Bones and FOX is then doomed! Fox still has our vote with second season of “The Following” and we were thrilled to learn of the return of “24” in May. Woo Hoo!! Agree with the cancellation of the X-Factor and I won’t miss it!! American Idol has a new shot of life with three amazing Judges. Return of Keith Urban and Jennifer Lopez and the addition of Harry Conniff, Jr. Should be a good season. That would be CONNICK not Conniff….. I agree Marti, You are right. Harry will do real good on American Idol. X Factor USA should not have never happened here any way it was pointless and stupid. I thought that X Factor USA was going to be a little bit different meaning I thought it would have had some of the elements of NBC American Got Talent and plus after Simion and other powers that be fired Paula Abdul after season one as far as I am concern it was the beginning of the end because they have gone thru judges season after season since and I have been over X Factor USA 2 1/2 seasons ago. Good, now cancel the other stupid junk like American Idol, The Voice, Biggest Looser, Faux Noise ( it is anything but fair or balanced from the far Reich) similar junk that is a waste of time & money.